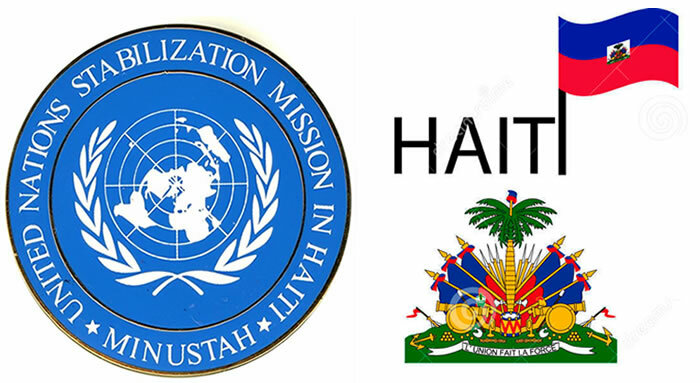 Two female officers from the United Nations Stabilization Mission in Haiti (MINUSTAH) found dead in Cap-Haitian. This took place on the night between December 29 and 30, 2015 in their quarters in Cap Haitien. The officers, both were from Rwanda. 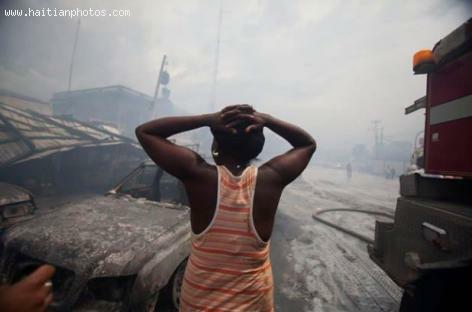 A joint investigation is underway between MINUSTAH and Haiti National Police (PNH) to find the cause. De ofisye fi ki te fè pati Nasyonzini Misyon Estabilizasyon an Ayiti (MINUSTAH) yo te jwenn mouri nan Cap ayisyen. Sa a te pase nan lannwit ant 29 ak 30 Desanm, 2015 nan kay yo nan Cap Haitien. Pa gen okenn enfòmasyon sou ki peyi yo soti; sepandan yon ankèt ap fèt ant MINUSTAH ak Polis Nasyonal Ayiti (PNH) pou yo jwenn kòz lanmo a.
Habitation Jouissant in Cap-Haitian will be transformed to become Marriott International second Hotel in Haiti. Autograph Collection is the managing entity who will be responsible to run this new Marriott Hotel. 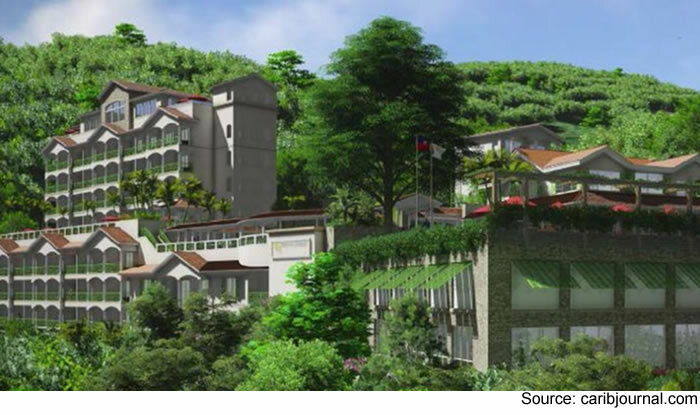 Habitation Jouissant which will be opened in 2017 as the new Marriott will soon undergo an overhaul that will include 100 rooms. In addition, the new hotel will have a new presidential suites, two restaurants, two pools, a fitness center and meeting rooms. Richard Kessler , once an independent hotelier and the present managing partner of Marriott, selects and builds Autograph Collection hotels considering themes based on local culture and arts, each with an individual identity with strong aroma of the local environment. Today, Autograph Collection has built over 100 hotels in world's most desirable destinations based on such themes and the management is very optimistic that "Habitation Jouissant" will add a unique culture rich perspective to their portfolio. Recently, in order to meet international standards of trade exchanges, at the Hugo Chavez airport of Cap Haitien, the Ministry of Agriculture, Natural Resources and Rural Development (MARNDR) has installed an X-ray scanner at the arrival lounge to check the passengers and baggage. This will help easier and faster detection and prevention of the entries of agricultural items which have no import permit or pose threats to the environment and health. This initiative is an extension of MARNDR's effort to modernize and protect Haitian agriculture from sanitary risks, including through quarantine inspection services in ports and airports open to foreign trade. Once, a journey to the north side of Haiti for a tourist would constitute a flight from their country, be it the U.S., South America, or somewhere in the other hemisphere, which would land in Port-au-Prince (not nearly the north), and then a subsequent flight or a bus-ride from there to your final destination. This was not only more expensive, but also more taxing on one's vacation time and energy. As of October 2, 2014, however, those traveling on American Airlines will be among the first who will zip directly into the country's second-largest city, Cap-Haitien, by way of the new portfolio of flights landing at the newly-renovated Hugo Chavez International Airport. After fifty years of waiting for the eventuality of an internationally-known commercial jet service	to offer routes in Haiti outside of the obvious airport in the capital city of Port-au-Prince, American Airlines opened up its service roster to include the revitalized Cap-Haitien. A city fast opening itself up as a viable tourist destination, Cap-Haitien offers up big-city appeal, being the second largest in the country, as well as old-world charm and incomparable history. Thursday, October 2, 2014, a Boeing 757 aircraft landed, carrying the Republic's President, Michel Martelly, who flew to Miami the night before to board the historic flight 1462 back. The crew of the aircraft was greeted upon arrival with a grand ceremony attended also by the country's Prime Minister Laurent Lamothe, Tourism Minister Stephanie Balmir Villedrouin, Venezuelan Ambassador to Haiti Pedro Antonio Canino González, Secretary of State for Public Works Philippe Cineas, and Minister of Public Works Jacques Rousseau. In the neighborhood where I grew up in Haiti, there was someone just like Senateur Moise Jean Charles, One who seems to know everything and something about everyone. We would call them" "Moun Tripot"
Was that the case for you?
" 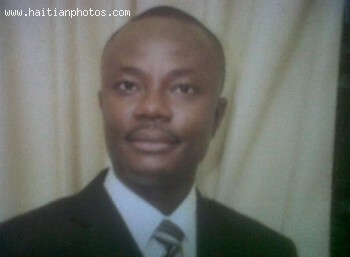 Dyol A Lè Lè"
" Pitit Sa Gin Yon Vwonmisman Malkadi"
" Moun Sa, Pa Gin Sa Li Pa Di A Dyol Li"
" Ou Kwe Se Pa Fe Yo Fe Pitit La Sa?" " Yon Jou Lang Li Ap Rete Pandye Sou Lestomak Li"
Tourism has been on a substantial descent over the last 20 years. But one series of events, the Fête champêtre, continues to give hope to a struggling industry as tourists, local, from the Diaspora, and international, flock Haiti to witness the countryside festival. One of the main avenues for entertainment to the 18th century elite, a Fête champêtre (a country feast or pastoral festival) was a type of garden party much loved at court. With pretensions to simplicity, the Fête champêtre was patronized by the well dressed, entertained by musicians hidden in the trees, as they enjoyed the beauty of landscaped park. The former Capital of the colony of Saint-Domingue, Cap-Haitian was called Cap-Francais and consequently, has kept the beautiful French architecture of the time. 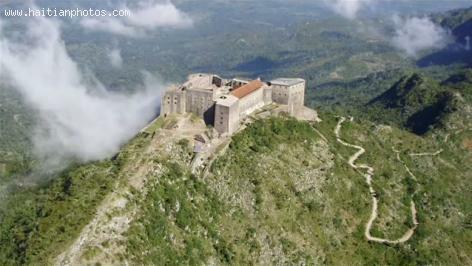 Cap-Haitien is the highlights of Haitian History besides the cultural values of its architecture. 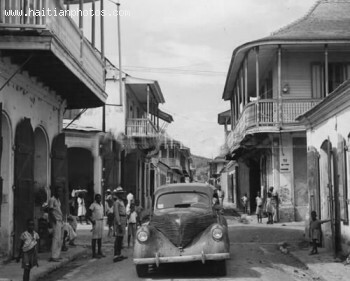 Its well preserved French colonial architecture was so beautiful and modern during the French colonization that it was surname "The Paris of the west"
Christophe rebuilt the re-named Cap Haitian, which became his capital, to some of its former glory. His most impressive achievements were his castle, the Palais Sans Souci, which is said to have rivaled Versailles in its day, and the behemoth Citadelle. The city of Cap-Haïtien is located near the historic Haïtian town of Milot, which lies about 12 miles away. This little city in Haiti is known to be the first Capital of Haiti. Henri Christophe, who took power in 1807, renamed Cap-Francais as Cap-Henri and built his Sans-Souci palace in Milot. About miles away from the Sans-Souci palace is a massive stone fortress bristling with cannons, atop a nearby mountain. The Citadelle Laferrière is a fort that was built with the labor of 20,000 men high atop a mountain to protect against a return of the French.